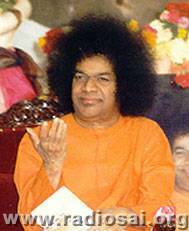 This is the text of ' Musings From Prashanthi Nilayam' which was aired on Radiosai a few days ago. Loving Sai Ram, and greetings from Prashanti Nilayam. Recently, a conference of economists was organised in the Institute here, on the initiative of Prof. Vishwanath Pandit, a leading economist in the country who joined our faculty a couple of years ago, after serving with distinction for many decades in the famous Delhi School of Economics of Delhi University. Prof. Pandit shares with me the teaching of the Awareness Course to our post-graduate students here, and since I know him very well, he asked me to give an evening lecture during the conference. Today, I am going to tell you something about what I said during my talk. The title of my talk was: SARVODAYA FOR THE 21ST CENTURY: IS IT AT ALL POSSIBLE? Since most of you might not be aware of what Sarvodaya means, I should perhaps start by telling you something about it. This word became a part of the Indian vocabulary thanks to Mahatma Gandhi, who translated it as: WELFARE FOR ALL. I would add, welfare for all based on a moral philosophy relating to the principle of Trusteeship. I could not get any sleep that night. I was determined to change my life in accordance with the ideas in the book. ……. I later translated the book into Gujarati, entitling it, Sarvodaya, the welfare of all. 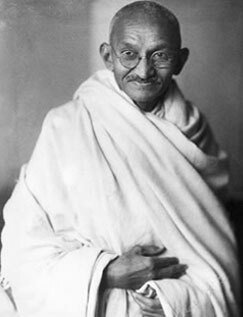 Gandhi introduced the idea of Sarvodaya to the Indian public when he became involved with the freedom struggle. He asked himself, “When India becomes free, what kind of a country should it be?” That was when he made his views on Sarvodaya widely known. In short, Gandhi wanted Independent India to have a Sarvodaya Society. Of course, things did not work out that way at all. Instead, India went on the path of what might be called Scientific Socialism with a strong emphasis on heavy industries and all that. It was propelled on this path by Jawaharlal Nehru, the first Prime Minister of India, the man whom Gandhi himself declared was his successor. Why on earth did Nehru then distance himself from the Mahatma’s cherished dream? There is a historical reason for this. Before I come to that, I should mention that a few of the remarks I would be making shortly might be considered by some people as “negative”. I hope I would be pardoned for this, but there is a reason behind my statements. I am here discussing problem-solving and not trying to give a cosy talk. When we want to get rid of malaria or cholera, we must start with factors that cause malaria or cholera in the first place. Then alone can one plan a good strategy that would solve the problem. Please keep this in mind and bear with me for a while. Let me get back to the Indian scene. Continuing on what I was saying earlier, both Gandhi and Nehru were deeply pained by the massive poverty in India. Both wanted India to be rid of abject poverty; only, their recipes for achieving this differed. 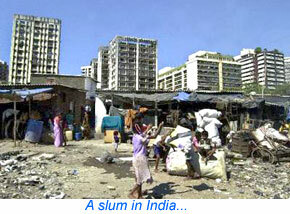 Thus was born what is nowadays referred to as Nehruvian Socialism. 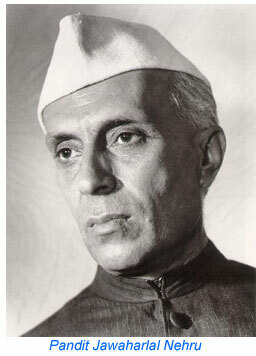 Nehru passionately believed that Science and Technology alone could solve the massive problems of India. Nehru died in 1964, but Nehruvian Socialism survived him and had a long innings up to almost 1990. So what happened in 1990? People woke up to the fact that Nehruvian Socialism had not delivered the goods. They then went shopping for a new economic philosophy. In the shopping mall of economic theories, there was the market-oriented philosophy that America had pioneered, and that China appeared to have shown to be a wonderful model for a developing country to adopt. Thus, willy-nilly, India has swung from the idealistic but non-workable Scientific Socialism of Nehru to the new Market-oriented Capitalism of the West, with Globalisation coming in tow. India has been experimenting with this new philosophy for about 15 years now, and one might ask, “What is the score card like?” The answer you will get would depend very much upon the person whom you are asking. There are many who would say things are much better, in fact ‘simply wonderful’; that’s because these people can now readily buy goods in the Indian market that fifteen years ago were unthinkable, especially consumer goods of various kinds. These people sing praises because they have the means to purchase. The list of things we can now buy here is in fact quite impressive – everything from cars to TV’s, refrigerators, air conditioners, down to perfumes, designer clothes and what not. Add to them such goodies like computers, cell phones, digital cameras, etc., and it looks like a real dream. Earlier, most of these things were simply not available and such things as foreign liquor and tape recorders could be obtained only in the smugglers’ market. Yes, today we can even get imported cheese, imported biscuits, and all the rest of it. As if this is not enough, we have hamburger joints, pizza parlours etc., to make the cup of “joy” full. And for those who can afford, there is the Rolls Royce too! But there is a flip side to all of this. Firstly, thanks to heavy importing, a good bit of manufacturing has had to close down, leaving hundreds of thousands unemployed. In Gujarat , which used to hum with manufacturing, hundreds of factories have closed down. And this has not only thrown factory workers on to the streets, but also left truck operators etc., who moved the industrial products, high and dry. There are more serious problems, caused by a strong shift to the so-called market-oriented economy. Nowadays, everything has a high price tag, from medical services to education. The way things are right now, I am afraid most young men in the future would not be able to get college and professional education. That would leave all these millions barely employable, except in low-grade tasks. Thus, while for the haves it is a wonderful change, for the have-nots, things are not so good; in fact, in many respects, it is worse. To put it in a nutshell, the way things are going, soon the world over, especially in the very rich countries and in countries with huge populations like China and India, there would be basically two categories of people – one that is rich and can afford, and the other that is poor and cannot afford. Once there is a sharp gradient in income levels, many social evils automatically surface. Thus, the more aggressive in the disadvantaged group take to crime that includes extortion, kidnapping, drug-peddling etc. At the other end, many of the rich either cheat the law in such matters as taxes, or simply ignore the law by engaging in mighty corporate frauds and shady deals of various kinds. In addition, there are bright people who try to get a big kick out of cyber crimes, hacking, generating computer viruses and so on. In short, anything for kicks or money or both. In between are caught millions who feel highly insecure and do not know which way to turn. Let me restate the two different perspectives on the present scenario. Listen, there is no alternative to free-market economy, coupled with freedom of choice, freedom of the press etc. The human mind will always seek pleasure and be driven by greed. Greed is not all that bad. It is the fuel that drives the engine of modern economy. Yes, those with drive and initiative come out at the top. What they have earned is through hard work and diligent use of their skills. What’s wrong with that? OK, they have accumulated wealth but their quest for wealth and pleasure also generates so many jobs. Thus, there is a trickle down of wealth to lower levels, and you cannot dismiss it. In short, this is the best system one can think of, and it has come through trial and error and a long process of evolution. To reject it would be the height of stupidity. I have given you a very weak summary but if you hear the advocates of the free market philosophy, you would find that they really go to town with their suave presentation.They will convince almost everyone that this is THE thing one must go for – marketing at its best I would say! Yes, superficially, things do appear better in India now, thanks to the free market, globalisation and all that. However, it is better largely for those who have managed to move up. The free-market economy is basically built on the philosophy of profit for one or at best a limited number of people that own stock in a particular corporation or business or whatever. It is really not bothered about the welfare of the public at large. If it creates some jobs, that is purely incidental – all that the company wants is money, money and still more money. Here is an example. The big tobacco companies rake in huge amounts. But do cigarettes do any good to anybody? Millions die on account of lung cancer. By the way, in the globalisation era, jobs have been made mobile. If tomorrow country B offers lower wages compared to country A and therefore gives greater scope for profits, orders would go from country A to B, leaving thousands in country A jobless, literally overnight. Greed not only causes havoc to human Society – by promoting obesity and juvenile diabetes, for example – but also ravages the environment. The rapid growth in carbon dioxide levels in the atmosphere is one example. I won’t make a long song and dance of it all. As I see it, during the last hundred years or so, many political and economic philosophies have been tried, and most of them have floundered. Some may appear to be successful but when one examines deeply, it is a different story. I would say that there is nothing really worth choosing from amongst the socio-economic philosophies offered thus far. There is one common reason for this collective failure – and that is they all lack a serious moral basis. You see, my point is very simple really. Let me take the Communist philosophy, which Stalinist Russia swore by. As a philosophy it is unquestionably idealistic; but in practice? That is a different matter altogether; that is why one intellectual whose name I do not remember said: “A man is a fool if he is not a Communist at the age of twenty, and he is a fool if remains a Communist at the age of forty!” OK, now what happened in the Russia of those days? No doubt the essential wants of the people were provided, but the tyranny of the State eventually led to a collapse. Basically, the system had no moral engine to drive it. Let me now turn to the other extreme, namely Capitalism, especially as it is being advocated these days. When there is a lot of space for everyone, Capitalism does appear OK; and indeed, it was because of that hundreds of thousands flocked from Europe to America in the latter part of the nineteenth century and the first half of the twentieth century. America was truly the land of opportunity. But lately Capitalism has become global, and its philosophy mostly appears to be: TO HELL WITH SOCIETY. MAKE PROFIT BY HOOK OR BY CROOK. People may accuse me of gross oversimplification but you know this in fact is what many people say even in America, Britain, France etc. Take the pharmaceutical industry, for example. Recently, the BBC ran a documentary serial entitled: PILLS, PATIENTS AND PROFIT. In that serial, the broadcast journalists explored in detail why life-saving drugs cost so much. It is largely because of the desire of the corporate sector to make as much money as possible. There are any numbers of such examples I can give, including of the inhuman desertion of the victims of the Bhopal Gas Tragedy, but I shall not. I shall make just one simple point. As I see it, the current globalisation mantra is all about securing profit for a few, namely the shareholders. This might create jobs but that is incidental. Profit is the main motive, and if securing profits means jobs have to be cut, people have to be pushed to poverty etc., that is just unfortunate but that is the way the cookie crumbles. In short, it is all about wealth for a few at the expense of many. There is, on the part of the big corporations, only passing concern for the sufferings of large sections of humanity, and much less for the environment. Just to give you two examples, take a look at the way gambling casinos are multiplying the world over. Often, governments aid and abet this process. 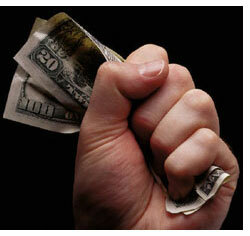 In the gambling business, the owners of the casinos never lose money; on the contrary, they make tons of money. But if you look at the people lured by gambling, many of them go broke; and the tragic part is that most of these are people with limited means. Incidentally, this is what is happening in the rich countries! Here then is a clear example of taking gullible people for a ride in the name of making money. Mercifully, we do not have the big casinos, at least as yet. Similarly, if you look at the increase in the carbon dioxide content of the atmosphere, you would find that it is many of the rich countries that have failed to stand by the Kyoto protocol that calls for measures that would bring about a sharp decrease in the emission. The whole gamut of man’s activities today constitutes an indivisible whole. You cannot divide social, economic, political and purely religious work into watertight compartments. I do not know of any religion apart from human activity. I do visualise electricity, ship building, iron works, machine making and the like existing side by side with village handicrafts. Hitherto, industrialisation has been so planned as to destroy the village and village handicrafts. In the State of the future, it will sub serve the villages and their crafts. Why was Gandhi so distrustful of machines? There were many reasons, one of them being that they tend to produce unemployment. Mechanisation is good when the hands are too few for the work intended to be accomplished. It is an evil when there are more hands than required, as is the case in India. I have no consideration for machinery that is intended to enrich a few at the expense of the many ……. I hate privilege and monopoly. Whatever cannot be shared with the masses is taboo to me. As a moderately intelligent man, I know that man cannot live without industry. Therefore, I cannot be opposed to industrialisation. But I have a great concern about introduction of machine industry. The machine produces much too fast, and brings with it a sort of economic system I cannot grasp. I do not want to accept something when I see its evil effects, which outweigh whatever good it brings with it. 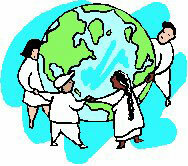 I want the dumb millions of our land to be healthy and happy, and I want them to grow spiritually. Once we have shaped our life on Ahimsa, we shall know how to control the machine. The Mind is a restless bird, the more it gets the more it wants and still remains unsatisfied. Therefore, the idea of creating an unlimited number of wants and satisfying them seems to be a delusion and a snare. Civilisation in the real sense consists, not in the multiplication of wants but in the deliberate and voluntary reduction of wants. When I see what is going on today, I find Gandhi’s warning prophetic. I mean just look at what they are doing with mobile phones and video games. The people who produce these gizmos give fancy names like convergence and all that, but it is a lot of rubbish really. None of these things do anything for the soul of man. As I see it, they are devil’s instruments. And this precisely is what Gandhi himself said, long before anyone knew that devils toys would be available in hundreds of millions. I do not believe that multiplication of wants and machinery contrived to supply them is taking the world a step nearer its goal… I whole-heartedly detest this mad desire to destroy distance and time, to increase animal appetites and go to the ends of the earth in search of their satisfaction. If modern civilisations stands for all this, and I have understood it to do so, I call it satanic. OK, Gandhi was against all the things that we now take for granted, like TV, for example. Maybe they have problems. But what are we to do? Where do we go from here? Is there any alternative to a philosophy and a way of life based on consumerism, globalisation and all that? That’s what I shall deal with next. Thanks to heavy brain-washing, there is a mindset amongst most educated people that there is no alternative to a consumerist economy, globalisation and all that. All these passionate advocates would forcefully point out to the success of China and indeed of India. They would say: “Listen, are you not aware how people are talking of China and India as the potential Superpowers of the 21 st century?” and so on. I don’t wish to get deeply entrenched in this kind of argument – I do not have much time for it anyway. But there are a few points I would like to place before you concerning where reckless consumerism can and does lead. Firstly, the forces that promote consumerism want everyone to spend – the more we spend, the happier they are because they can rake in huge profits. Next, consumerism leads to a lot of waste. 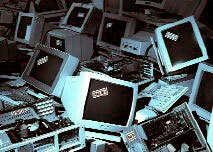 People may say, “Oh, that’s no problem we can always recycle.” That is all more easily said than done. Right now, the job of dismantling old ships, old computers, old mobile phones etc., is being quietly dumped on the so called Third World , and leading to a lot of pollution there. Is Going Nuclear the Answer? Dear listener, please spend some time thinking deeply about the long-term consequences of all that modern consumerism implies. If you do, then you would come to the inevitable conclusion that there can be such a thing as too much. When James Watt invented the steam engine roughly two hundred years ago, he unknowingly ushered in the famous Industrial Revolution. True the Industrial Revolution has conferred a lot of benefits but it has also left us with a heavy price tag. The carbon-dioxide pollution of the atmosphere and the danger of the greenhouse gases is the price tag. This is the burden that the generations of the past two centuries have left for the present. And now what is happening? 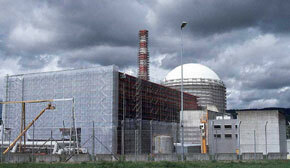 People are saying go nuclear; go for atomic power stations; everything would be OK; no carbon dioxide problem any more. I can say something about nuclear electricity, having lived for 13 years right next to a nuclear power station near Madras , where two reactors were pumping electricity into the local grid. Yes, with a nuclear power plant, we do not have the carbon dioxide emission problem. There is of course the safety problem, and after the famous Chernobyl accident, people do have a reason to be deeply concerned. But let us say that the reactors of the future operate accident free. That does not let us off the hook for there would still be the problem of what to do with highly toxic radioactive waste generated. 1) The amount of fresh water available to humanity is fixed and limited. 2) The amount of cultivable land too is fixed; in fact, due to misuse, the amount of arable land is actually decreasing. 3) The population of the world, on the other hand, is increasing rapidly. QUESTION: What do we do about water in the future, especially as the consumption of water is rapidly increasing thanks to demands from the industry? What do we do about food in the future, considering that agriculture also needs water and added to that land? You may at this point say, “Listen, we have heard all this sort of thing so many times from you. But what is the alternative? In fact, is there an alternative?” That is the question I shall now deal with. firstly, I am not trying to implement Sarvodaya. I am merely recommending it. 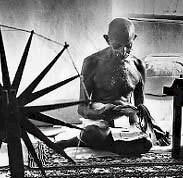 Secondly, I am not for a moment arguing that we try to implement Gandhi’s blue print in toto, with Charka (spinning wheel) and all. Not at all. Nor am I suggesting that we get rid of Science and Technology; that would be, to use an American idiom, like throwing the baby with the bath water. I am merely saying we must take a serious look at the SPIRIT of Sarvodaya, and implement that spirit, keeping in mind all the modern factors and parameters. Well, what exactly is that spirit? It is the spirit of Trusteeship. I have mentioned Trusteeship in many of my talks, but on this occasion, I would like to make some brief remarks in the context of the new economic order that I am advocating. Trusteeship is what I would call Moral Socialism or Socialism with a Conscience. What has been tried out earlier by so many people in so many countries is what Gandhi refers to as Scientific Socialism. It is a philosophy based on idealism no doubt but without any reference to individual and collective morals. The philosophy tries to seek equality and welfare for all, by sheer economic planning. Citizens are expected to be patriotic, idealistic, ethical and so forth. In practice, this has not worked on a sustained basis. Take, for example, the erstwhile Soviet Union. It started off on a wonderful idealistic note and indeed abolished poverty in a sort of manner. Nobody starved, everybody had employment of some sort, and everybody had access to education as well as health care, and so forth. There was, as one scholar put it, a kind of arithmetical equality. Yes, there was a guarantee of employment, housing, etc. But since the system lacked a moral backbone, the leaders and those who exercised administrative and bureaucratic control, decided they would be more equal than others. Quickly, this led to a gross system aberration, followed by mass discontent. System collapse inevitably followed. What comes out strongly from the experience of various countries is that unless there is honesty across the board, unless people decide to be uniformly unselfish, there is always trouble. OK, so what is the alternative? Let us go back to Sarvodaya and examine what exactly it implies. The Sarvodaya philosophy does not seek any arithmetic equality. It recognises stratification in Society, and tries to adjust to it in a spiritual way. How? Via the principle of Trusteeship. The starting point of the Trusteeship principle is that everything belongs to God. By the way, this is not my declaration; Swami Himself has said this many, many times, starting from the Krishna Avatar. My next point is that every one of us is blessed in some way or the other. God may have blessed us with material wealth, good health, intelligence, etc. All these are to be regarded as assets belonging to God, and the individual must simply regard whatever he has as God’s property, of which he or she is just a Trustee. Let us say there is a brilliant scientist. He makes all kinds of wonderful discoveries. But the scientist is humble and regards all the knowledge resulting from his discoveries as belonging to God. He does not patent his discoveries, shares his knowledge with all, and engages only in work that is beneficial to Society and is not harmful. In particular, he avoids unethical research like poison. You may say, this will not work in this day and age. That is what we would think, conditioned as we are by the constant propaganda about IPR or intellectual property right etc. But are you aware of something called open source software? This is a remarkable concept and it is amazing it is working so well in this fierce globalisation age. I will not go into all the details, but mention the key concept: FREE SOFTWARE. What it means is that the person using it has the freedom to modify the programme obtained as free software and the freedom to distribute copies, either gratis or for a fee. Closely related is the concept of ‘copyleft’ (opposite of copyright). The central idea of copyleft is that the one who uses the source programme (obtained free) and modifies it, must make the modified versions available free. This is how the entire community is supported and encouraged to grow. But does this not go against the fundamental principles of business? Not quite. What has happened is that since knowledge is available for free, lots and lots of people are able to download and develop their own products and promote software growth. This enables system costs to come down; hardware can now be bundled with free software, and that also promotes economic growth. For example, right now, in India we can get a PC with Linux for a much lower cost than a PC with Windows. Let me get on with the Trusteeship idea, for time is running out. You see, in a true Trusteeship Society, everyone owns minimal wealth – all the rest belongs to God, and is administered for and on behalf of God. Yes, the doctor would need some extra money to maintain his clinic, and so on; but that is not contested. No one ever grudges legitimate perks. For example, even in a Communist Society, people were reasonable enough to accept that the Head of State would need a special aircraft to travel; one just cannot expect the Head to come in the queue and book his ticket on a commercial flight. Why was there this acceptance of the perk? Because of two reasons. In a true Trusteeship Society, everyone owns minimal wealth – all the rest belongs to God, and is administered for and on behalf of God....The important point is that everyone is busy working for others for that is their duty. Firstly, the Head does not own the aircraft and secondly, the Head is not flaunting any personal wealth of his. In the same way, in a true modern Sarvodaya Society, no one would grudge legitimate “perks” coming with some category of jobs. The important point is that everyone is busy working for others for that is their duty. When one is busy in this manner and is committed to a moral and simple life, it automatically means that individual desires would come down, there would be less of consumption, especially of unwanted and undesirable goods, less of energy consumption and therefore less of pollution, and so on. This, many would complain, is an unrealistic proposal and will not work in practice. To rebut this idea, Swami cites the example of the human body. It is really a beautiful example. I have no doubt mentioned this on earlier occasions but in the present context, the human body provides an unmatched example. You see, in the human body, we have, to start with many systems like the respiratory system, the circulatory system, the nervous system and so on. Each system is made up of sub-systems and so on, and when we come down the hierarchy ladder, we reach the organs, like the heart, the brain, the liver, the stomach, the pancreas and so on. If we go further down, and we can, we eventually reach the level of the cells. In a sense, the cells are the basic building blocks of the human body. Now what has the human body got to do with social problems, economics and all that? That is what Swami has explained beautifully. He says that Society is a complex system built by man using the individual as the building block, just as God has built the human body using cells. Like the body, Society has systems, subsystems etc. performing different functions. The body lives, and so does the Society. OK, so far so good. There are many analogies. So what? Swami says that man must not just see analogies. Instead, man must try to understand the principle on which the human body works. To use jargon, what is the Operating System that governs the body? Believe it or not, it is the principle of Trusteeship, that is, every organ works for the common benefit of the entire body! Don’t believe? Just consider what Swami says: He says that when we have fever and the doctor gives a bitter medicine, does the tongue spit it out? No, bitter or not, it swallows. Why? So that the body may get better. Or say the doctor wants to give an injection? Does the arm say, “No way! Why should I suffer the prick for the sake of the body?” Similarly, does the brain look down upon the kidney for doing low-class work? Not at all. In fact, God has given us two kidneys, a spare one, which alone ought to show how important the kidney is. I can go on and on but I shall not. I don’t think it takes much intelligence to appreciate that God has given the perfect Operating System for the human body. Swami asks why then does not man simply copy this system when it would solve all our problems? The answer is simple. Humans want room for selfishness, and the Trusteeship system does not allow any room for that. People would argue, “Be reasonable, who can be unselfish?” and so on. Possibly true but we can try to be like Trustees at least to some extent. We can cut down our desires, share what we have in good measure with the have-nots and so on. We can curb anger, jealousy and hatred at least. Will that not start improving our world? You know something? 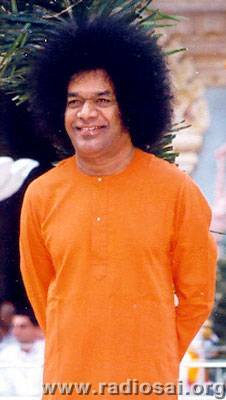 Swami has given the simplest route to achieving Sarvodaya. He says LOVE ALL, SERVE ALL. Spend five minutes and analyse carefully the implications of this profound teaching of Swami. If you do, you will find, as I have, that this seemingly simple formula if adopted by all at least to some extent, CAN indeed bring a good measure of welfare to a good many. And, as a result, a good many of the world’s problems would also get solved in the process. Maybe we will not have 100% Sarvodaya, but even 50% would give us a far better world! I hope you would agree that my earlier reference to the problems of the world was not out of place. Many people are of the view that devotion is all about the relationship between the individual and God. That is indeed true. However, it must be realised that God is not to be seen merely in the physical form that He dons when He descends as an Avatar. As Swami constantly reminds us, we must see God everywhere in everything, all the time. In other words, especially in today’s world, we must be conscious of our relationship to Society and to Nature, which are aspects of God Almighty. When we fall sick, do we not take steps to get cured? How then can we disassociate ourselves from the problems of Society and the ecosystem and not bother about finding solutions? This is what we are expected to stress as teachers here; this is what I do in my classes all the time, and it is on account of that I choose to discuss some of the issues facing us to, not to scare you but to stress that Swami’s teachings are the only solution for humanity’s problems. That is what Krishna taught, that is what Gandhi understood and tried to popularise, though he was laughed at. Gandhi was not saying anything original; on the contrary, he was merely detailing the principles enunciated by Lord Krishna. Swami is giving us the same lesson directly, to each one of us, all the time. Should we not pay serious attention to it? 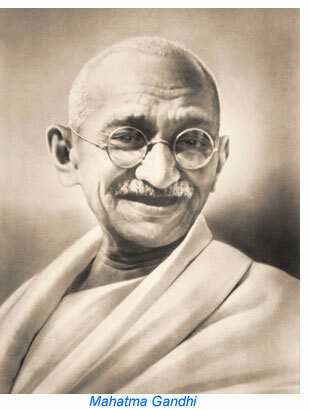 The 2nd of october is the Birthday of Mahatma Gandhi, The Father of The Nation of India.